VISION has signed contract with CEMIG to supply, as a turnkey project, a new substation, SE Confins 1. 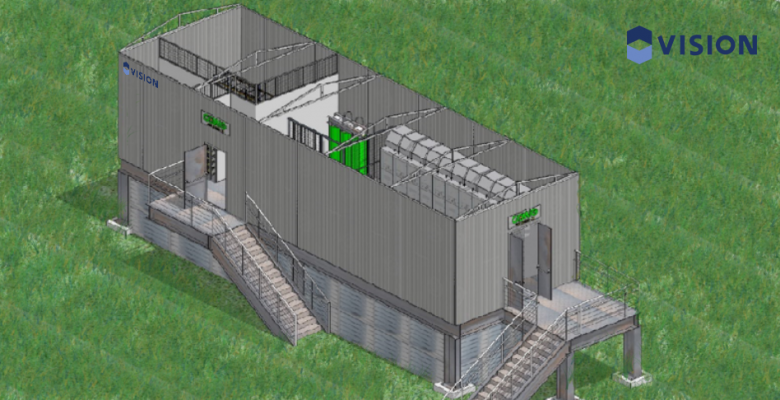 The high technology utilized, hybrid solution, is the combination between the advantages of GIS (gas insulated substation) with the simplicity of the air-insulated substation and once more the technology of the electrical room will be with Power House solution (modular electrical room assembled with metal structure). The scope include, one GIS 145KV/40KA 2000A, a power transformer 138/13,8KV 25MVA, power house, MVSWG, digital system of protection and control IEC61850, capacitors bank 6MVAR, metering and billing panel, protection, acquisition and control panel, HVAC systems and emergency ( detection, alarm and firefighting), civil works, electromechanical and electrical assembly, startup and commissioning of the entire system. The new substation will be localized in Confins city, close of the international airport of MG state.